The Dorcy Cancer Center at St. Mary-Corwin is a comprehensive cancer treatment program in Pueblo. We offer patients across Southern Colorado state-of-the art technology, the most advanced treatments, and leading oncology physicians all in one place, making cancer treatment easier and more efficient for patients and their families. At the Dorcy Cancer Care Center we provide comprehensive, multidisciplinary treatment for every kind of cancer, as well as individualized support to help our patients navigate the journey of cancer diagnosis, through treatment and recovery. 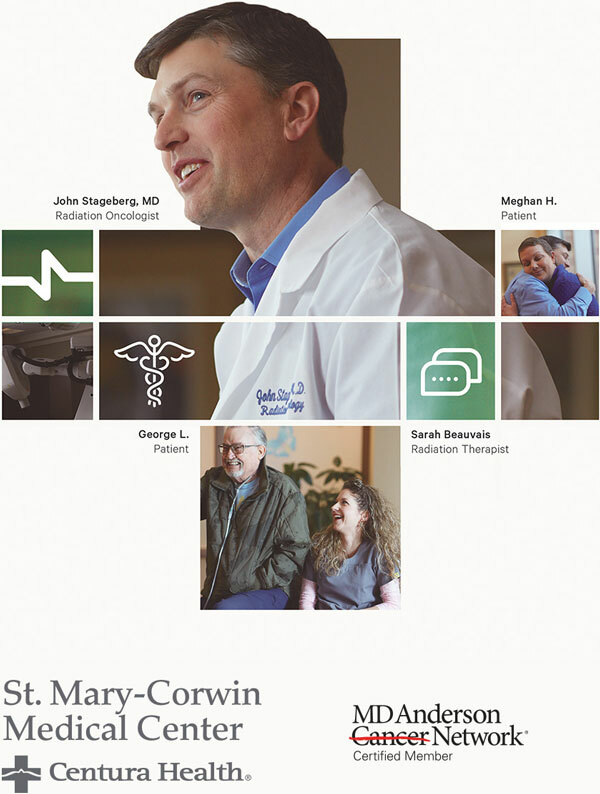 St. Mary-Corwin Medical Center is now part of the powerful MD Anderson Cancer Network®. When cancer hits close to home, you should be able to fight it close to home too. Penrose-St. Francis Health Services in Colorado Springs and St. Mary-Corwin Medical Center in Pueblo are now certified members of MD Anderson Cancer Network®, a program of MD Anderson Cancer Center—the nation’s leading, world-renowned cancer center devoted exclusively to cancer care, research, education and prevention. The expert cancer care team at Dorcy Cancer Center includes surgeons, medical and radiation oncologists as well as oncology certified nurses and support staff specially trained in cancer care. Our team is as compassionate and caring as they are skilled and knowledgeable. Our approach to fighting cancer is integrated, meaning we bring together the conventional tools of surgery, radiation, chemotherapy and immunotherapy with complementary therapies including nutritional support, educational classes, yoga and exercise programs, physical therapy, spiritual support and more. Today, more than 14 million Americans are currently living with, through or beyond cancer. Support Services.